The 4th of July, also known as Independence Day, is the date we commemorate the signing of the Declaration of Independence celebrating America’s independence from England. 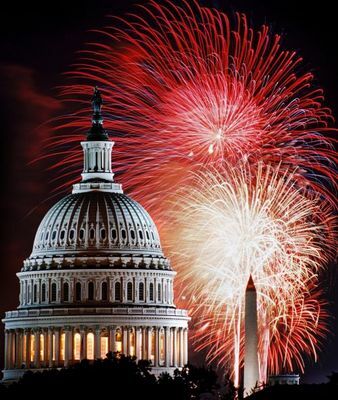 Americans take the day off from work, gather together for picnics, parades and fun and end the evening with a spectacular display of fireworks and patriotic songs! So what does this have to do with your real estate career?…. Everything!! The majority of real estate agents had some career, line of work, job prior to embarking on their newly chosen profession of selling real estate. Think back to why you chose to go into real estate. Of all the jobs, professions, or careers you could have pursued, why did you choose real estate? When I ask this question in the classes I teach, I get a variety of answers: help people, see great houses, be in business for myself, have the opportunity to work from home, work for myself, have flexibility over my schedule, be able to be home when my children get home from school, spend more time with my family, work for myself, have the opportunity for unlimited income, be creative in interacting with others, work for myself, etc. Are you sensing a pattern here? What theme consistently runs throughout these answers…. independence! Many agents pass the test to get their license and have dreams of building a business but fail to successfully plan their new business to fulfill their dreams of independence, wealth & flexibility! There are some basic steps you may take or re-take to achieve your own personal holiday! You must “go to work” everyday! This business is about constantly generating new business on a daily basis. There are so many tasks that must be completed within this business but none are more important than knowing whom you are going to help next! Regardless of how you spend your day, you MUST begin every day prospecting for new business EVERY morning before you read your emails, listen to your voicemails or return any calls. 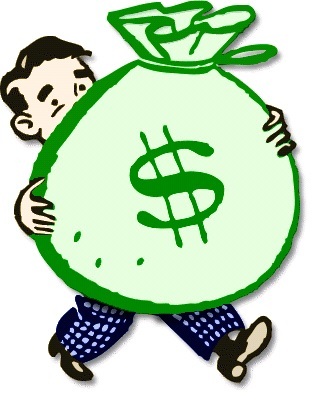 Basically finding a new client and closing on a transaction is what you get paid for, ask yourself…. if I was working for someone else and my job was to generate new leads, would I get fired? You do not have to “cold call” to be a successful real estate agent. Focus your marketing efforts on those who have expressed a need / desire for your services. Contact people who have previously had their homes on the market for sale. You know at some point, they had a need for you. Contact people who currently have a real estate need. So how do you find these people? Contact the owners of Expired and Withdrawn Listings. Go back to when the market began its downswing….. these people may not know where we are in the current market cycle and they may now be in a position to sell! Contact FSBO’s…. they need your services NOW! Ask everyone you know whom they know who is thinking of buying or selling. Where your name tag everywhere you go so people may approach you with a question about the market. Advertise properties for sale. If you don’t have any, advertise HUD homes, new construction, listings of other agents in your office. Everyone loves to talk about real estate! Have you noticed how many shows are on TV that revolve around the real estate profession? Establish yourself as knowledgeable in the field and when someone is ready to buy or sell, they will think of you first! Write articles for your neighborhood paper, Homeowner’s Association, offer to be a guest speaker at your local school, community center, give a Home-Buyer Seminar, Home-Seller Seminar, answer the public’s questions on Zillow and Trulia. There are myriad topics on which to write: current prices, how appraisals work, what’s involved in buying, selling, how much time does it take to sell a house, how much does it cost to buy a home, who pays what, how to buy new construction, new construction vs. resale, condo vs. fee simple, etc. How well do you know your product? Whether you are on the Buying side or the Selling side of a transaction, do you know everything you should about the neighborhood, price range, builder, floor plan, etc? Do you know if the house is priced well or not? How this house compares to others in the school district? How this house compares to others in this price range? What other competing / similar properties have sold for? How long they were on the market? What a comparable subdivision is? What the HOA fees are or cover in various subdivisions? Go preview property! Are you still seeing 5 properties a day like you did when you were first licensed? Do you run a hotsheet in FMLS or GAMLS each morning to see what new listings hit the market? Do this, go see them, then track how long they stay on the market and how much they sell for. You should know what price attracts offers and contracts. Know your inventory! You also need to have a working knowledge of the related issues associated with your industry: mortgages, the closing process, inspection process, appraisal process. You do not need to be an expert in these areas but you need to have a team of experts who know their portion of the industry. Have as many conversations with Buyers and Sellers as you can. Schedule as many listing appointments and buyer appointments as you can. Go on as many of these appointments s you can. The more people you speak with, the more comfortable you become talking about real estate, answering their questions, handling their objections, marketing your services to them, signing contracts and closing deals! There are more great prospects than you can possibly do business with so go talk to them so you put yourself in a position to turn down people who will prove to be difficult clients. A successful real estate career is all about developing relationships. When you focus on developing relationships rather than simply making money, the money will follow! Creating a good income is the by-product of developing a good relationship with someone. They have a need, you fulfill that need with compassion, confidence, passion and support. You create a career through relationships… not any one transaction. When you provide amazing customer service to others, they will share your name with someone else they know who is Buying or Selling a property! You work extremely hard to find prospects, go on appointments, know your inventory, create clients, get contracts and go to closings yet everything you do in this field of real estate you do in the name of your Broker. It is imperative that you learn and understand how that Broker works for smooth transaction after smooth transaction after smooth transaction. Your broker and the staff are there to help you in your career. Know what the systems and procedures are for turning in documents and checks. Know whom in your office is the appropriate person to speak with about various issues: turning in documents, checking on contract compliance, getting help with a contract situation, difficult negotiation, how to handle a new type of transaction that you have never before been involved, know in advance what you need to do to receive your commission check before you ever even go under contract. Does your Brokerage offer classes on their systems and procedures? Have recorded webinars or training sessions? Have a published Orientation Manual or Policy Manual, communicate with you on a regular basis? Take advantage of these methods of communicating this information about how your Brokerage operates BEFORE you need to know! The basics of real estate remain the same as they have for many many years. The particulars, however, change on a regular basis! Contracts change, technology changes, real estate commissions create new rules and regulations, mortgage rules change, etc. Although the real estate commission requires a specific number of continuing education classes to renew your license, you should keep current on your craft so that you do remain the expert in your field. At Maximum One our training calendar is replete with courses on a variety of topics. Are classes are open to any agents because our philosophy is that we are all in a shared profession and we would rather have Maximum One agents co-oping with another well-trained agent! Check out our training calendar online: www.eAGENTweb.com and click on “Calendar. 10. Repeat all the Steps Above! If you follow the steps outlined above then you will create an amazing real estate career. In other words, if you do now what others WON’T then in five years, you can do what others CAN’T! So when you’re having a bad day, remember why you chose this profession in the first place and then go back to doing what you need to do to fulfill those initial aspirations. Celebrate your OWN Independence! At Maximum One, we have systems and procedures for you to access remotely to turn in your contracts in order to get paid! Rather than physically turning in your contracts and related paperwork into the office, you simply upload those documents into PAPERLESS PIPELINE – our online transaction management system. This system is easy to use and keeps copies of ALL the documents, copies of emails, notes, earnest money deposits and other related information for the transaction in one place! Also, with every transaction / referral / lease fee / any fee due to you as an agent, you will need to complete a BLUE SHEET & upload this Blue Sheet into Paperless Pipeline. This Blue Sheet are the instructions to our Transactions staff as to how to pay you. These staff members do not have access to your contract in Paperless Pipeline, they are ONLY going from the information you provide on this form. Please fill out this form completely – even if you have closed with the same closing attorney or done a deal with the same co-op agent. Also, enter your client’s information in the “Notes” section and they will receive coupons appropriate to their move from MovingWolf – a part of our WolfConnect / Extranet system. These coupons are branded with your contact information and extend approximately 28 days prior to closing and a couple of weeks after they close. You must enter your contract into Paperless Pipeline within 72 hours of receiving signatures to avoid a late paperwork fine. You must upload the Blue Sheet with your contract / signed referral agreement / signed lease / etc. If the finances or parties of your transaction change, simply make those changes on your Blue Sheet & upload a revised Blue Sheet into the transaction in Paperless Pipeline. In November 2013, Craigslist changed the rules and it is no longer possible for Real Estate Agents to post “enhanced listings” as a way to generate leads by driving traffic to their agent websites. As an agent, you used to use embedded HTML code to get a prospect to click on your Craigslist add & automatically be taken to your website or to a lead-generating landing page. Additionally, Craigslist has eliminated live links in your agent posting. You used to be able to reference a link & tell the consumer to “click here” for more information on the listing you were promoting. Craigslist has also limited the number of photos you may use in your posting – eliminating the enticement of consumers with tons of photos. 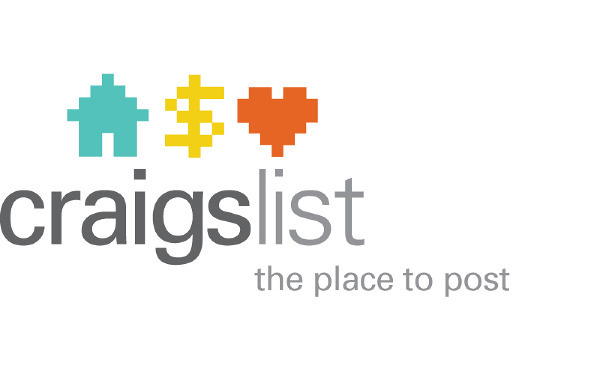 You may also not automatically post to Craigslist via Postlets, RealBird, Listings to Leads or vFlyer. When you have a VisualTour account, one of the concierge services this company provides for Maximum One agents is a Craigslist ad placement that complies with their new advertising guidelines. Market listings on Craigslist using your VoicePad Maximum One phone number (678-264-0659) so that when a consumer calls that phone number for information, they will receive the information they are seeking and you will capture their number so that you may provide your services to them. When the customer calls through the Voicepad number on one of your listings, you will automatically receive that lead. If you choose to market a HUD listing or a new construction listing (with the Seller’s permission of course) then you simply go into your personal voicepad account & create an ID number for the property that is not your listing that you are advertising on Craigslist. Then in your Craigslist ad, you include the voicepad phone number and the property ID number you just created! To avoid having your ad pulled by Craigslist, spell out your links in your ad. For example, “For more information and to see more houses you may like, please visit www dot MaximumOneATL dot com. Use a unique headline, be specific in the description, create a sense of urgency and provide some useful information rather than stereotypical “salesy” talk. Use the best photo possible of the property. You must use the photos along with the unique description to get the consumer to leave Craigslist and check out the house on your website. The good news is that consumers actually LIKE these changes that Craigslist has made! They no longer feel “fooled” or “spammed” by feeling they were clicking on a video only to be swept away to an agent’s website. More prospects are searching earnestly in Craigslist again to Buy & Sell real estate. Additionally you may still post HUD homes in Craigslist with the proper disclosures. The great news is that as long as you have the Seller’s permission, you may also post new construction homes on Craigslist and attract the clientele looking for those properties! There are several viable alternatives you may use to prospect for business. The VoicePad Mobile Site is a phenomenal way to get prospects to “search like an agent.” Use Visual Tour videos of properties that your clients see or on your listing appointments or neighborhoods. These tours are branded with your name & contact information & consumers LOVE to post these on their Facebook pages & Twitter accounts! There are also places to post such as Kijiji, Postlets, and claim your listings on Trulia & Zillow & answer consumer questions on those sites. and take the FREE Lead Generation CE class through Maximum One Realtors!